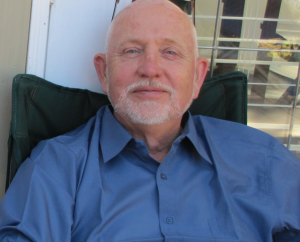 In the fall of 2008, VBDS members were saddened and shocked at the sudden passing of Keith Honeyman, who, as VBDS Treasurer and past Chair of Dance Pacifica, was a valued colleague on the VBDS Board. His passing left an enormous hole in all of our lives, as well as in the running of our club. At the time, members expressed a desire for an appropriate tribute to Keith. 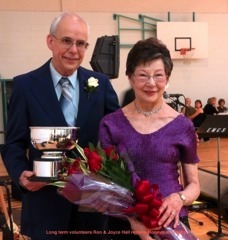 After an appeal for contributions, and a generous response from VBDS members, the Board approved an award in Keith’s honour, to go to a long-standing VBDS member who has, over many years, made outstanding volunteer contributions to the Society, and to the development of ballroom dancing in the Victoria area. 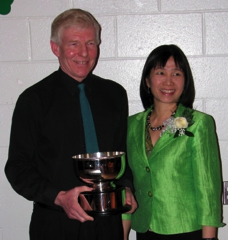 The first recipients of the annual Keith Honeyman Award were Rennie and Roman Yue, original members of the VBDS and perennial volunteers in a variety of roles to this day. Thank you, Rennie and Roman, from all your fellow members. 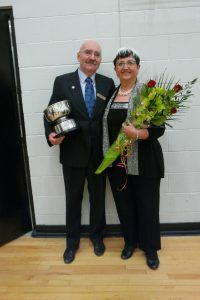 The second recipients of the annual Keith Honeyman Award were Ron and Joyce Hall, long-time members and consistent volunteers. They have spent countless hours dealing with the music and library at our practices. Many thanks for your abundance of help! 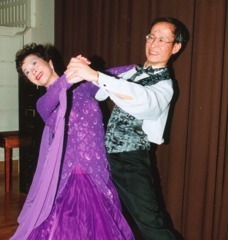 Alan Taylor was a founding member of the Victoria Ballroom Dance Society, and was instrumental in establishing the Society – crafting the first Constitution, working on incorporation, and serving as the Society’s first President. He continues to be a valuable source of advice and historical material. Many thanks for your guidance and many years of service. 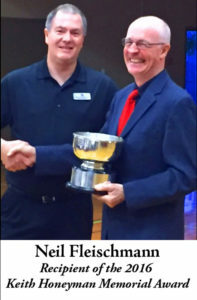 Ron Smailes is presented the award for his long time contribution to the Victoria Ballroom Dance Society. He is a natural dancer whose contagious enthusiasm and light-hearted fun has buoyed many a practice, class or workshop. His talents away from the dance floor are equally impressive and are evidenced in the Reg Wiz software for registration which he designed and build, as well as the engineering marvel of 2 chandeliers used at special VBDS events which he designed and built. Ron has served on the board and is an extraordinary volunteer who can be counted upon to dance at promotions, act as Master of Ceremonies, lead a line dance, and generally pitch-in whenever and wherever needed. Eric’s many contributions include 3 terms as an elected president and one half-term when he quickly stepped in to fill an unexpected vacancy. It is this willingness to step forward and do whatever is necessary for the sake of the club that makes such a difference for a volunteer organization such as ours and why Eric is so deserving of the award. 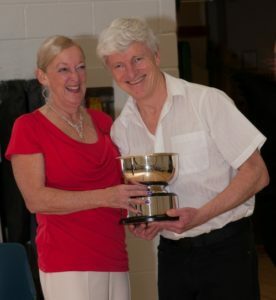 Gary and Nancy Leitch were jointly presented with the 2015 Keith Honeyman Memorial Award in recognition and appreciation of their many years of selfless volunteer service in support of the Victoria Ballroom Dance Society, and of ballroom dancing in our community. Gary served as Treasurer of the VBDS for three years. He was Chair of the Dance Pacifica Committee for three years, where he did a superb job in this onerous position. He also took on being Chair of the VBDS Website Renewal Committee, updating both the “look” and the functionality of the website at a critical time in the history of our club. Prior to that he had served as Chair of Promotions & Marketing Committee for almost a year, relinquishing that position, because of the critical importance and substantial demands of reorganizing the Society’s books and financial reporting systems. The spouse of every VBDS Director makes many sacrifices throughout the period when their partner is serving as Director on the VBDS Board. For that we must express appreciation to all those who, largely unrecognized, support the Society in this crucial way. But Nancy Leitch was much, much more than just a supportive partner for Gary in his years as a Director – she was actively working and serving in the background throughout, foremost as Bookkeeper for the Society in support of Gary’s role as Treasurer, working to institute a regular quarterly financial reporting system; then putting in countless hours in the background to ensure all the administrative tasks required to run a Competitive Ball got done, including serving as Volunteer Coordinator. 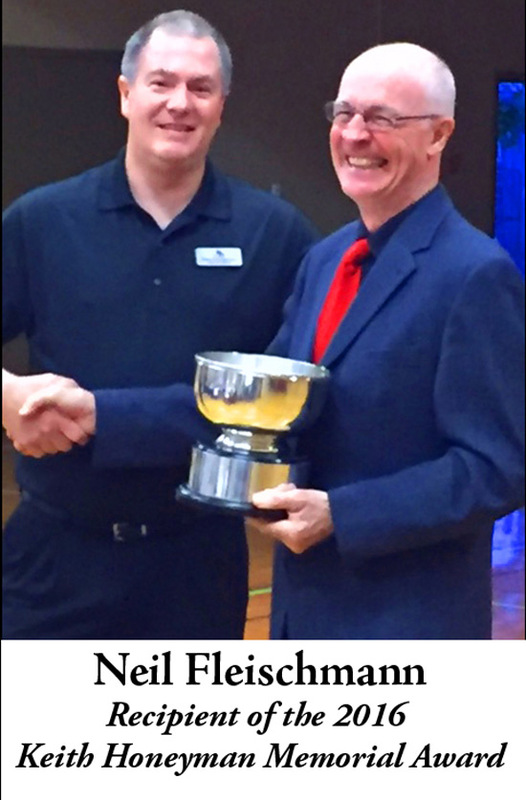 “Neil has worked tirelessly in all his many different roles over these many years to promote the club, its activities and ballroom dancing”. None of us could imagine anyone more qualified than he to receive this award.